At the site of an important Roman river crossing where by the year 765AD there was a Celtic Christian church, some 350 years before the foundation of Tintern Abbey. 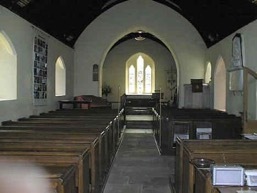 St Michael’s Church is a member of the Church in Wales in the parish of Tintern and Llandogo in the diocese of Monmouth. All villagers and visitors, whatever their background and experience, are very welcome to join us in our services which follow the formal Order for the Holy Eucharist. Our congregation is always relaxed and friendly, so don’t be afraid! Holy Communion is held at St Michael’s every Sunday at 10.30am. The service on the second Sunday of each month is a Family Service attended by the Church Lads’ and Church Girls’ Brigade. Weddings, baptisms and funerals are held by arrangement. Other services are held during the church’s important festivals with times published in the Tintern News and on this page. The church is generally open every day for visitors and those seeking a place of quiet reflection. "Beautiful little church, wonderful presence of God"
"A lovely peaceful little church in this beautiful part of the world"
St Michael’s stands by the River Wye at the site of an important Roman river crossing where by the year 765AD there was a Celtic Christian church, some 350 years before the foundation of Tintern Abbey, its famous neighbour. 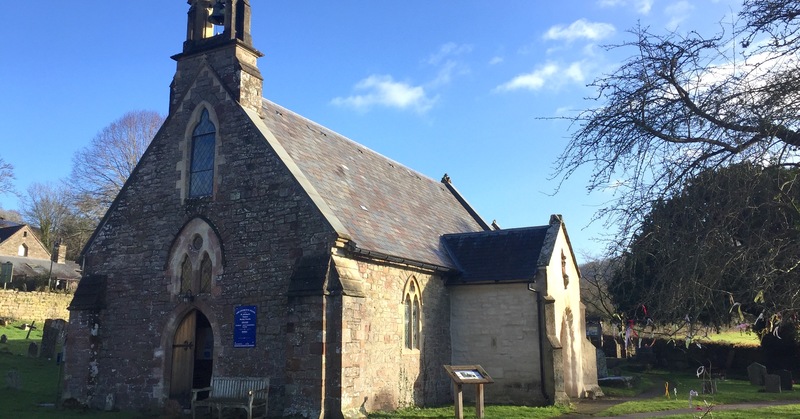 A medieval church replaced it and this was eventually rebuilt in 1846, although much medieval detail remains today. The dedication to St Michael the Archangel, a favourite of soldiers, is particularly appropriate in this land of historic border conflicts. In the aisle is a memorial to Elizabeth Feilding who died in 1703 as well as some older broken tombstones probably brought in from the churchyard during the 1846 restoration. Of these, one is dated 1668, while another has the outline of a two-handled broadsword, some five feet long, no doubt commemorating a medieval knight. The churchyard contains several ancient tombstones dating back to 1620. They include those of Samuel Small who died in 1623 and his wife who lie together to the east side of the sanctuary wall. A grand tomb belongs to John Lorraine Baldwin who died in 1855 and was the founder member of the I Zingari Cricket Club and a famous society figure of his day. The 15th Century south porch, which also contains an old tombstone, features a fine groined vaulted roof with Tudor roses and the exterior has a niche which contains a figure of St Michael. Sir Joseph Bradney in his 1913 History of Monmouthshire lists St Michael’s clergy from 1348. Patronage was in the hands of the Crown until the 17th Century and thereafter passed to the Lords of Tintern Manor, including Willliam Fielding, Thomas Fielding, and John Curre of Itton. The church registers date from 1756 for marriages and 1812 for baptisms and burials. 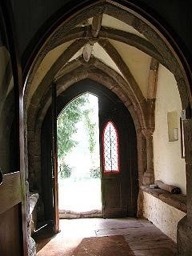 The sanctuary contains an aumbry and the priest’s doorway into the chancel, sealed up in 1846, can still be seen. The oak chair in the chancel is made from some of the old roof timbers of the medieval church. 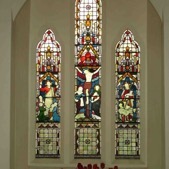 Please click here to read about the current restoration programme for St Michael’s.